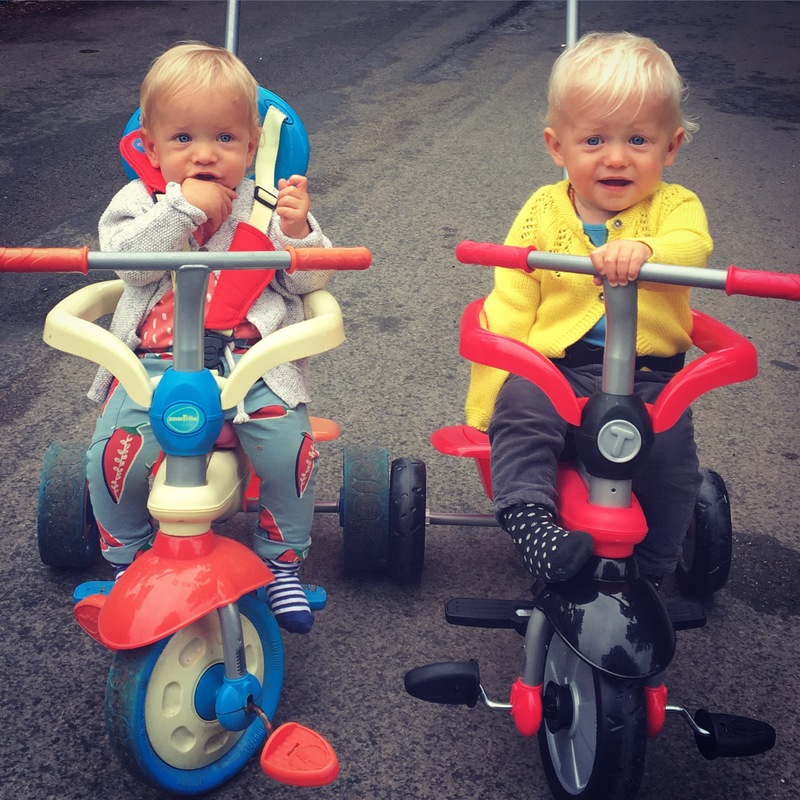 This is the start of a new series on the blog, speaking to mothers (and fathers) of multiples, finding out what things they have learnt along the way and how this unique experience has shaped them. 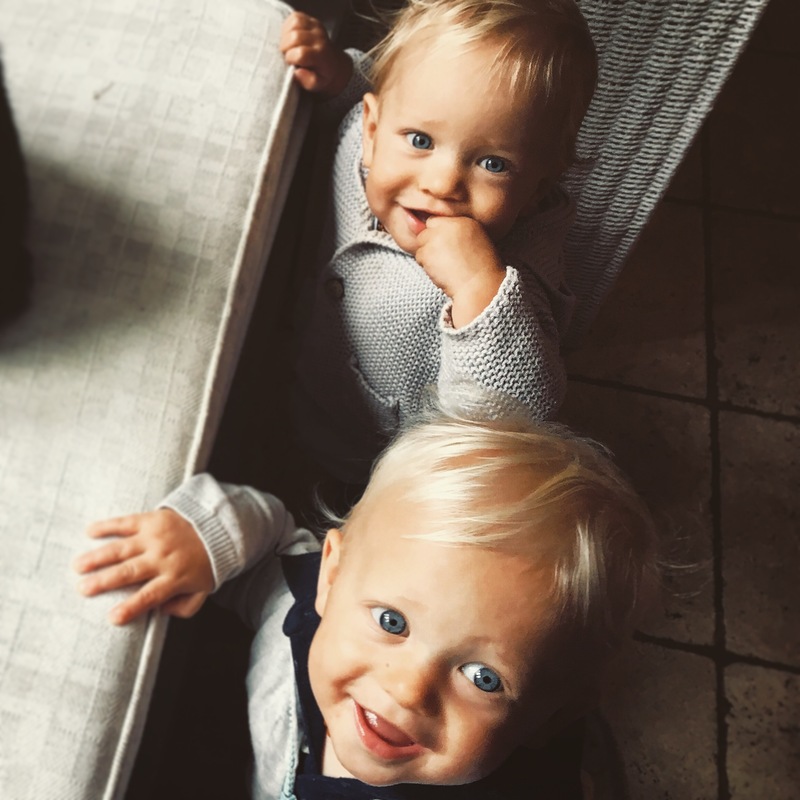 My twins are… Two boys, Felix and Monty (13 months old) – and they have a four-year-old sister, Elsa, too. 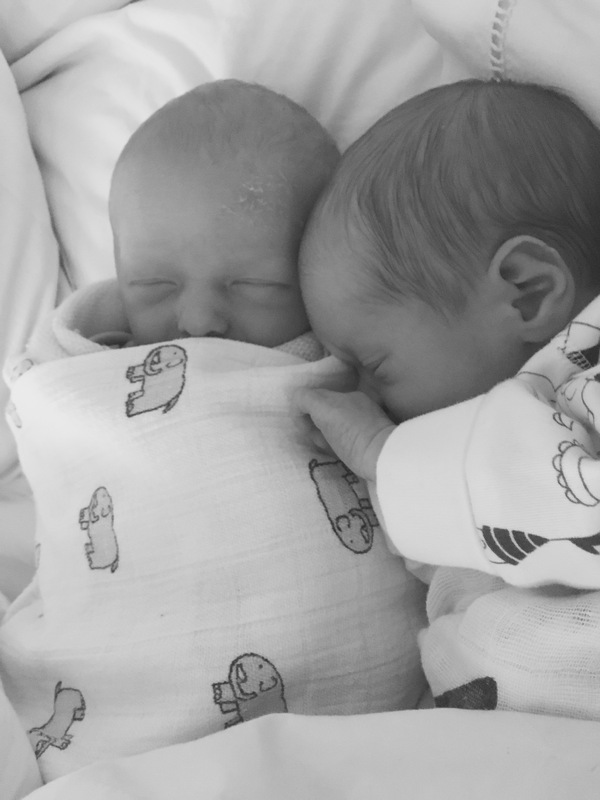 When we discovered I was expecting twins…I was thrilled. Amazed. But mostly thrilled. And sort of, also, expecting it. The morning before our scan I’d been having breakfast with my daughter and looked at her and thought: “I wonder what you’d be like as an older sibling of twins.” Uncanny really. And, I think there was a bit of trepidation, but mostly I was just happy and excited. The birth was…so much better than my first one. I have written about it here. I was so grateful for the knowledge I was able to take into hospital with me. And I remain so happy that I went into labour naturally and had those special hours at home, excitedly anticipating the arrival of our boys. I couldn’t have survived the first three months without…pulling up the drawbridge and staying in the house. As a first-time mum I was all over the place, out and about within days and I burnt out too fast and it took its toll. Second time around I hunkered down and made feeding my babies and snoozing with them my only goals. Other wonderful people worried about keeping the house clean and feeding me, and I just nested and nuzzled. It was bliss. The babies slept all day, next to me, on me, beside me in bed and I barely got dressed, and just revelled in them. Those first three months have been the best with twins for me so far. (And, also, couldn’t have survived without my placenta pills). They’re not for everyone, but for me, they were a magic pill of energy, positivity and happiness. I definitely noticed the difference when they ran out. I didn’t expect twins to be…this life-changing. It’s not just two babies at once – it’s a whole new way of thinking and organising your life. And it can be really hard to reconcile some of those things. I never ever just pop into the supermarket for one thing, with a baby on my hip; never go on a long walk alone, tramping through the woods with a baby on my back; never swing by a baby group with ease; never take a gentle stroll around the village holding hands with my toddler. Everything presents so many logistical challenges. The hardest thing about twins is…juggling everyone’s needs. I worry constantly about one of other of them being left out, having to wait, being hungry, being tired, being cold, being ignored. The thing is – you simply cannot look two people in the eye at the same time. So, getting that all-important eye contact with one of your babies means turning your head away from the other one. That’s hard to rationalise sometimes. Twin magic looks like…those first moments when they connect with each other, a look, a smile, a hand reaching out and the sound of them making each other giggle. I wish I had known…how physically demanding twins were. You are prepared for the mental load – and if you end up with depression or anxiety there are ways to help you with that. But there is no substitute for the sheer hard work that it is to do everything twice. Carrying two car seats, carrying two babies, bathing two babies, changing two babies, dressing two babies, washing double the load of babies’ clothes, lifting a huge double buggy into the car, and on and on it goes. 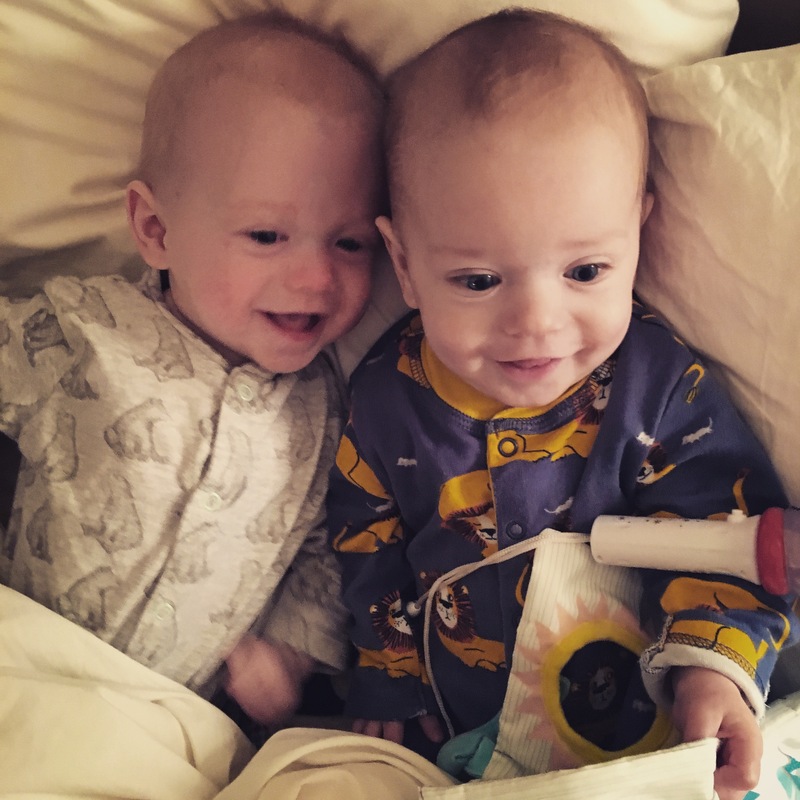 Being a twin mama is…the hardest thing I’ve ever done. And also, the most amazing thing. Twins are very, very cool, and great fun, and hilarious to watch and an incredible study in human nature. I find them endlessly fascinating. I am proud of…breastfeeding my twins for a whole year. So many other great intentions went by the wayside as we lurched from one day to the next, but this didn’t. 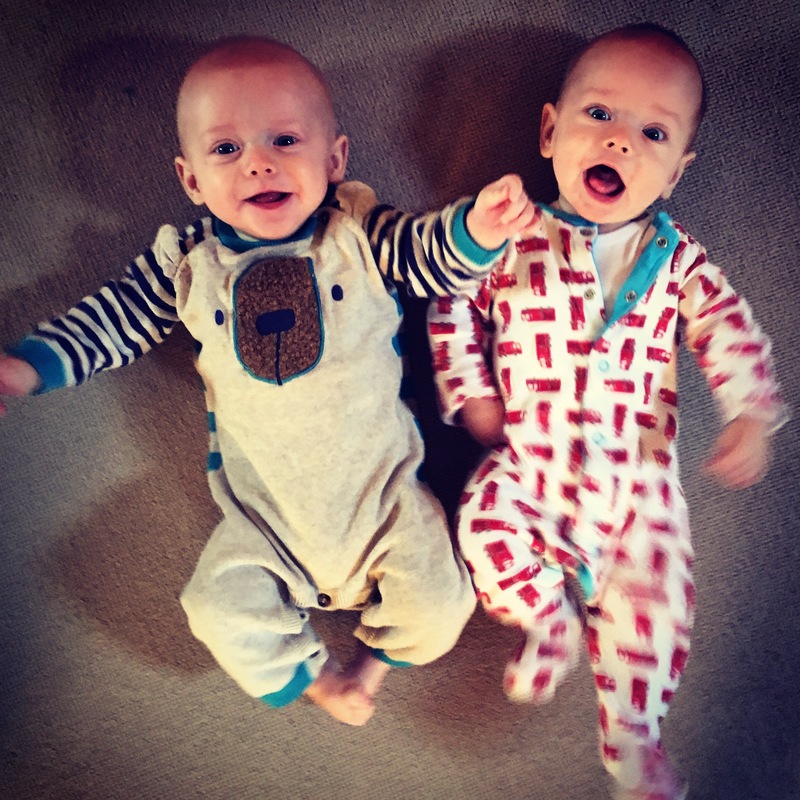 I have learnt…that, despite the moments when I thought I was failing, my twins are thriving, and that I have done ok. The human capacity for resilience – mine and theirs – has surprised me over and over again. 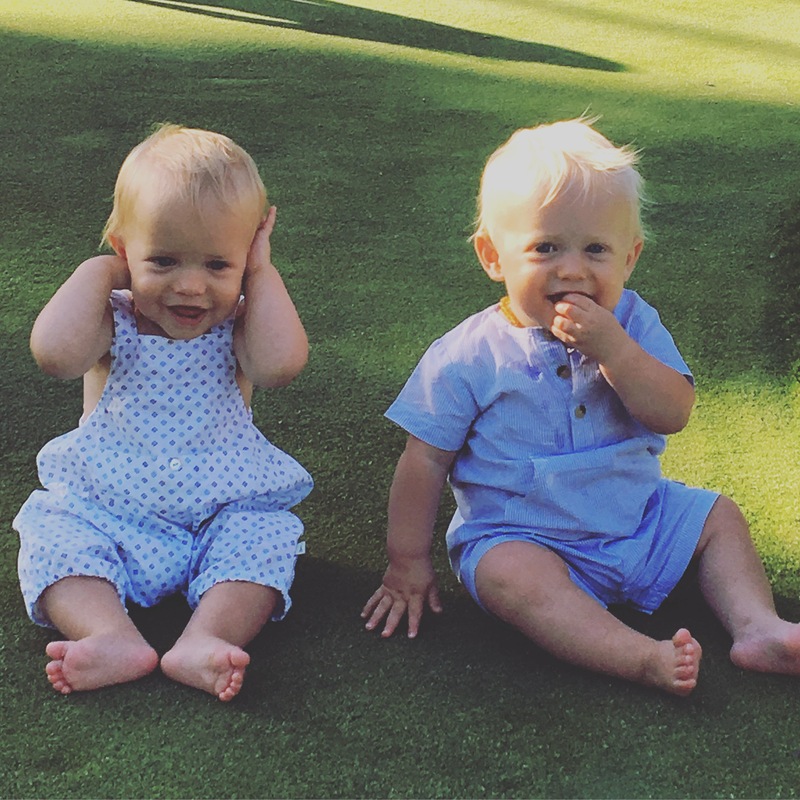 I want my twins to know…that I am sorry if I wobbled in their first year of being around. They were so wanted, are so loved and they make our worlds complete.